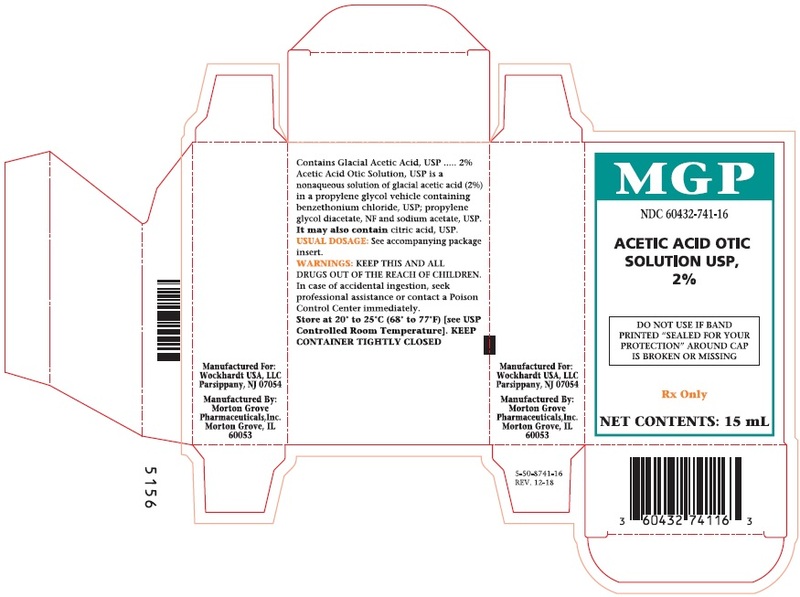 Acetic Acid Otic Solution, USP is a nonaqueous solution of glacial acetic acid, USP (2%), in a propylene glycol vehicle containing benzethonium chloride, USP (0.02%); propylene glycol diacetate, NF (3%) and sodium acetate, USP (0.015%). It may also contain citric acid, USP. Acetic acid is anti-bacterial and anti-fungal; propylene glycol is hydrophilic and provides a low surface tension; benzethonium chloride is a surface active agent that promotes contact of the solution with tissues. Carefully remove all cerumen and debris to allow Acetic Acid Otic Solution to contact infected surfaces directly. To promote continuous contact, insert a wick of cotton saturated with the solution into the ear canal; the wick may also be saturated after insertion. Instruct the patient to keep the wick in for at least 24 hours and to keep it moist by adding 3 to 5 drops of the solution every 4 to 6 hours. The wick may be removed after 24 hours but the patient should continue to instill 5 drops of Acetic Acid Otic Solution 3 or 4 times daily thereafter, for as long as indicated. In pediatric patients, 3 to 4 drops may be sufficient due to the smaller capacity of the ear canal. 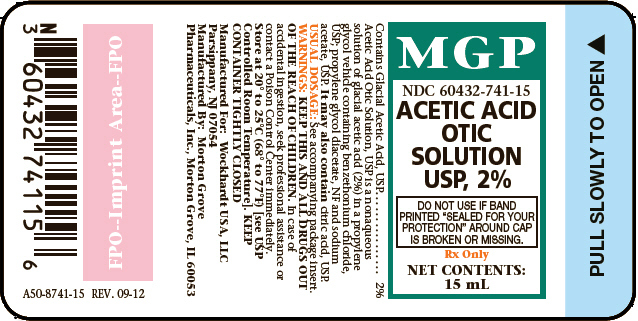 Acetic Acid Otic Solution USP, 2% is supplied in 15 mL measured drop, safety-tip plastic bottles.